“The stories told in this book are inspiring, and I am proud of Sammie for having found a way for children in these situations to have their voices heard,” comments Ella Koscik, CEO of MDI Group. 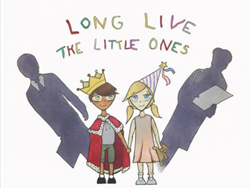 MDI Group is honored to support the recent publication Long Live the Little Ones, an inspirational book whose proceeds are being donated to foundations that advocate for children’s illnesses, including Enduring Hearts, Juvenile Arthritis Association, and Lighthouse Family Retreat. The book tells stories through the eyes of children facing autoimmune diseases, cystic fibrosis, heart transplants, and pediatric cancer. Samantha (Sammie) Hasen is the author of Long Live the Little Ones in collaboration with Ella Koscik, CEO and Owner at MDI Group, who produced the book. Sammie was inspired to write the book after a chance meeting with a young boy in a New York City restaurant, who candidly shared his story of battling stage 3 brain cancer. The exchange left Sammie with a passion to raise public awareness for children suffering similar experiences. Outside of authoring this book, Sammie is a current student at Georgia State University, with plans to pursue a degree in biomedical engineering at Georgia Institute of Technology. She is passionate about medicine and about helping people in her community. Sammie and Ella will be meeting with Georgia state Representative Kim Schofield at the State Capitol on September 24, to discuss the book and its impact on the community. To learn more about Long Live the Little Ones, visit the website: http://www.longlivethelittleones.org/.